Roberto Museo: "The way in which the Italian Third Sector reform considers volunteering represents an important step forward"
Home » Interviews » Roberto Museo: "The way in which the Italian Third Sector reform considers volunteering represents an important step forward"
The director of National Coordinating Body of Volunteer Support Centres in Italy (CSVnet) shared with us his point of view on the Third Sector reform passed in May 2016. How would you briefly describe the Italian associative sector? Among all social phenomena, the Third Sector world is one of the most difficult to "measure". Especially in Italy where solidarity has ancient roots (the first associations were founded in the 15th Century) because the growth of associations, as well as volunteers, takes origin from the spontaneous desire of Italians to put their time at the others’ service and it has never been managed by institutions. This was the situation until the establishment of the Volunteer Centres that (since 1997) held every year thousands of initiatives to bring citizens closer to volunteering, with particular attention to young people and students. 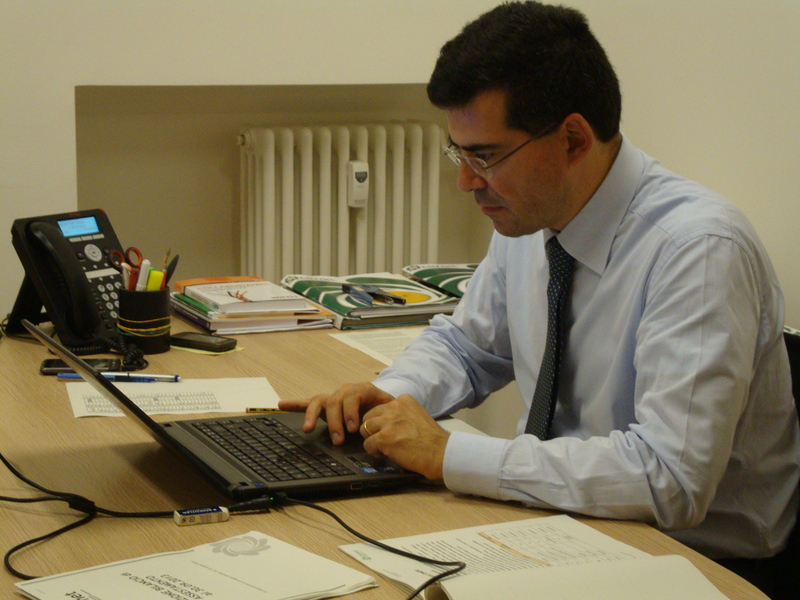 Looking at the numbers, the social commitment phenomenon in Italy is very diverse, firstly for the different types of associations that compose it: from Social Associations to Social Cooperatives, from Foundations and Non-governmental Organizations to Amateur Sports Associations and Volunteering Associations. According to the last census ISTAT (National Statistics Institute) on "Non-profit Organisations", at the end of 2011 the active Associations are 301,000, which means that there was an increase of nearly 30% compared to 10 years earlier. The sector of Culture, Sport and Entertainment seems to be the natural vocation area for the Italian non-profit organizations, with the 65% of the total at national level. What is the role of CSVnet? CSVnet is the National Coordinating Body of Volunteer Support Centres (CSVs). 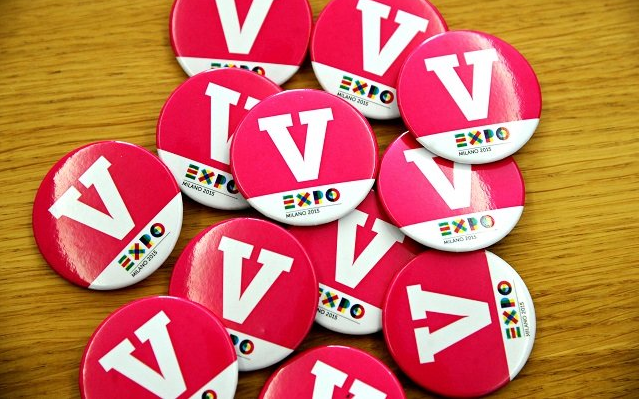 Born in January 2003, it holds the membership of 68 out of the total of 71 Italian Volunteer Centres and represents them at national and European level: it’s a European Volunteer Centre (CEV) Member and it has a representation office in Brussels. Its main objective is to strengthen cooperation, exchange of experiences and expertise among the CSVs providing them with training, consulting and general support. CSVnet also carries out intensive research on the size and characteristics of its sector. 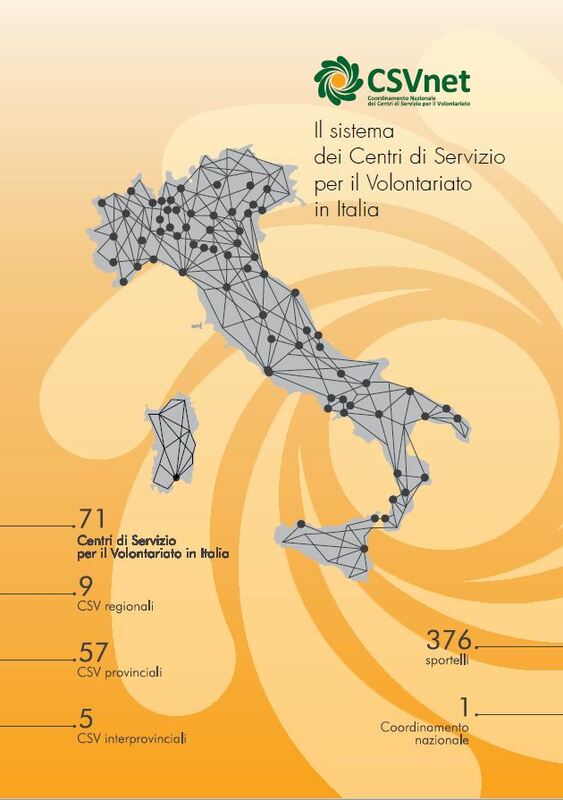 Every year it produce a report on the Volunteer Centres’ composition and activities: a significant volume of data on people, services and resources used for the operation of a system that could be called the "engine of the Italian Volunteering sector". This is an “engine” that often is the only available resource for thousands of small Organizations, mostly unstructured and with no economic resources available. A Third Sector reform was passed in Italy some months ago. What do you think about this reform? The path that led to this new Law was quite long; it lasted about two years and had been directly involving the network of Volunteer Centres. It was an important step, since the last Law on Volunteering dates back to 1991 and in the meantime many things have changed in the Italian Non-profit sector. What consequences do you expect it will bring? Thanks to the reform, the Third Sector will finally have a unified Identity Card. In addition, the way in which the reform considers volunteers and volunteering represents an important step forward within the legal advancement of the country. The new Law has also led to the simplification of existing regulations - with a strong call to action and transparency in non-profit organisations’ structure - and introduced a new type of Enterprise called “Social”. It also boosted the Voluntary Civil Service, which will be open to foreign citizens and can also be played abroad, in one of the European Union countries. A specific article of the reform, finally, do concerns CSVs: they will have to extend its services not only to volunteering organizations but all the volunteers active in non-profit organisations. It means that CSVs are called to an important commitment, because the range of “users” will expand considerably, increasing from the current 44,000 to 300,000 Organizations composing the Italian Non-profit sector; but it will also be an honour for our network, recognized in this way by the Legislature as the main development actor of the Italian volunteering sector and, in general, of the active citizenship in Italy. 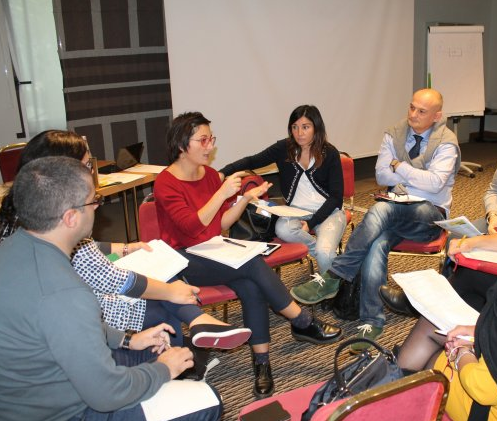 What are the changes you would like to see in the Italian associative sector in the next ten years? I hope that the Italian Non-profit sector will ever have the bravery to look to the future of volunteering: there are new forms of social engagement; we cannot pretend nothing happened. I refer to occasional volunteering: that kind of commitment unstructured involving citizens sporadically, depending on availability of time they have. 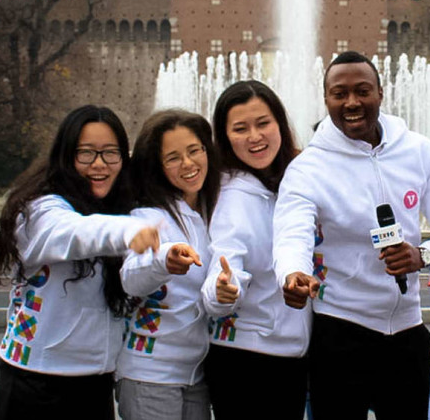 We had been able to intercept it at the Universal Exhibition that was held in Milan in 2015 through our role of recruiters and trainers of 5,700 volunteers who served on the exhibition site. We met these people during and after their experience at Expo 2015 and - thanks to a study elaborated in cooperation with 3 important Italian Universities - we found that many of them, despite it was their first volunteering experience, were very satisfied and would be willing to perform again a volunteering activity, especially in occasional form. Thanks to this experience we realized that the occasional volunteer concerns an ever larger share of citizens, it’s not limited only to big events but covers cross-cutting themes, from the Care of the Common Goods to Emergency Management. It’s not at all opposed to the “traditional” organized voluntary work: on the contrary, for the associations able to seize it, it will represent a growth and renovation opportunity, a real new season.